Do you need to announce something? Then don't do it the "small" way. 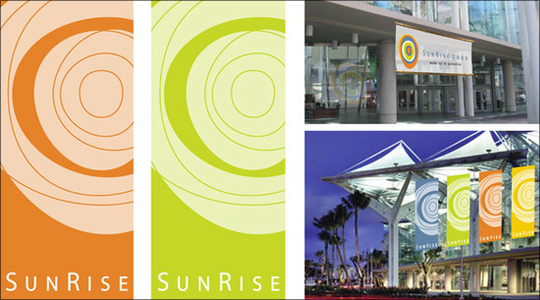 Go large scale with our high quality large printing services. You can create your own banner, or you can ask us to design it for you. Just tell our veteran graphics team the size and specific "look" you're going for. To save time and money, we can sit with you and conceptualize first. We're interested in the message and image you'd like to express. Think of our graphics team as an effective channel that would help you promote your events better. Why should you settle for a single tool when you can have a collaboration of these advertising tools to announce your event? From banners to step and repeat walls, from point of purchases to wall murals—the choice is yours. Our team can even help you conceptualize how you're going to set up these large format prints in your venue. The important thing is that you're maximizing your budget, and that each one of the tools you're using can still stand on their own. Sit down and think about how many people you would like to announce your event to. Is this an awards ceremony, or the launching of a new product? Look at where your target market usually stays, and try to make your event as visible as possible in these places. If it's a big event, you might also want to put up a photo booth, especially if you've invited a lot of important people. You might want to add a red carpet with a step and repeat wall or banner at the edge. Put a professional stage to mark the photo-op space. Is your event sponsored by other companies? No problem. Just ask for a high definition graphic file of their logo if you've offered a step and repeat banner or poster in exchange for their sponsorship. We can also talk to one of their representatives if they've offered a large sum and you've decided to give them a booth with high end display cases. We suggest you limit their options, though, with default formats which can fit into your budget. We can also incorporate the signage of your company or event into the booth that we're designing for them. To get your money's worth, it's best if you weigh the aesthetic as well as the functional values of the advertising tools you've chosen. Our team will help you work around your budget without sacrificing the quality of your ad tools.